Choosing an interior colour scheme can be a nightmare. People worry, deliberate, get stuck and stress so much over the colour of their interior décor. I’d say for many people getting the right look matters a lot. Choosing interior room colours can get very expensive. 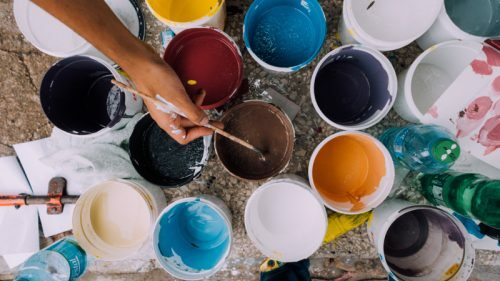 Paint alone can run into hundreds of pounds especially when you choose colours from premium manufacturers such as Farrow and Ball. When it comes to wallpaper, soft furnishings and even furniture getting the wrong palette can prove a very costly mistake indeed. Many (like me) end up playing it safe. Missing out on that dream look and sticking with what I know. How many of us choose Magnolia paint or stick with neutral shades that don’t really reflect our personality or the look we’re trying to create. I don’t think I’m alone in this frustration looking at the vast mountain of magnolia and white paint on sale at places like B&Q, looks like many of us play it safe with interior colour schemes. But there is an alternative, to risky paint purchases and dodgy decor, an alternative better than a magnolia bomb! The easy way to choose an interior colour scheme. The easy way to choose an interior colour scheme and achieve that perfect interior décor is to hire the services of a colour consultant. Many may have heard of colour consultants for clothes and fashion design, but few may know they exist for interior design and styling. One such company specialising in interior colour consultancy is Parkinson Colour Consultants Manchester. They work either in the home, place of work or online to provide you with the perfect cohesive colour scheme totally bespoke to you. Parkinson Colour Consultants service is perfect for those people who are overwhelmed by choice, time poor, or have a real desire to try something new and stylish. 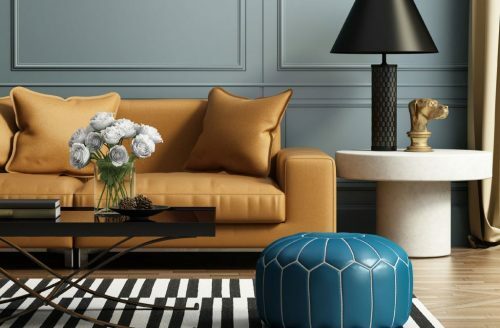 Colour Consultants from Parkinson Manchester take into consideration everything from the architecture of your property, existing furnishings, your personality, interests and life style. You are guided through the whole process from start to finish right from the intital booking. So if you are struggling with achieving the right look for your room take a trip over to Parkinson Colour Consultants of Manchester.